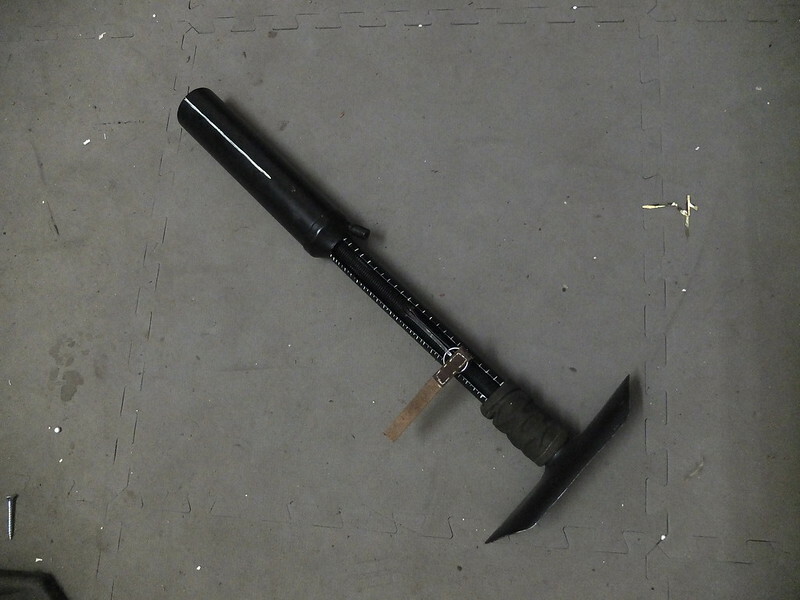 I was recently given this replica T89 mortar replica to convert to fire TAGS. I hope someday to make my own from scratch with a bit more detailing and moving parts. 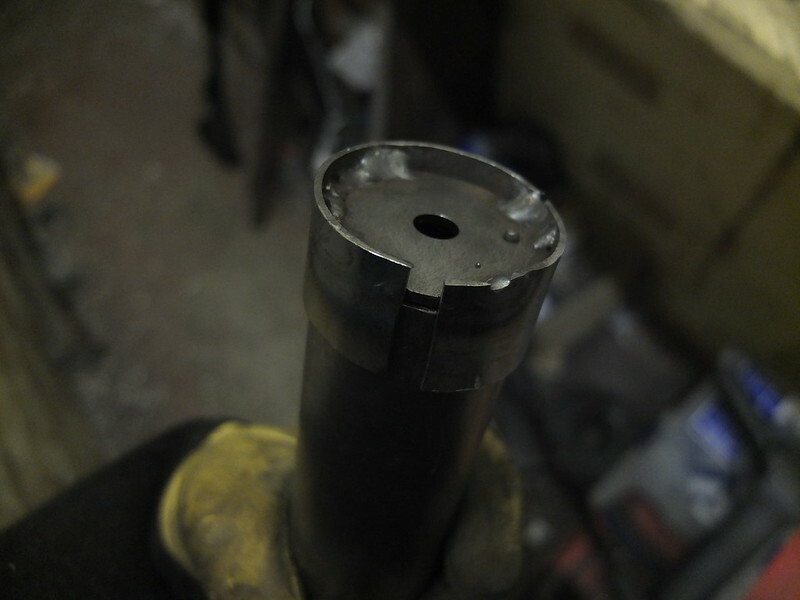 The first step is to fit a firing pin. 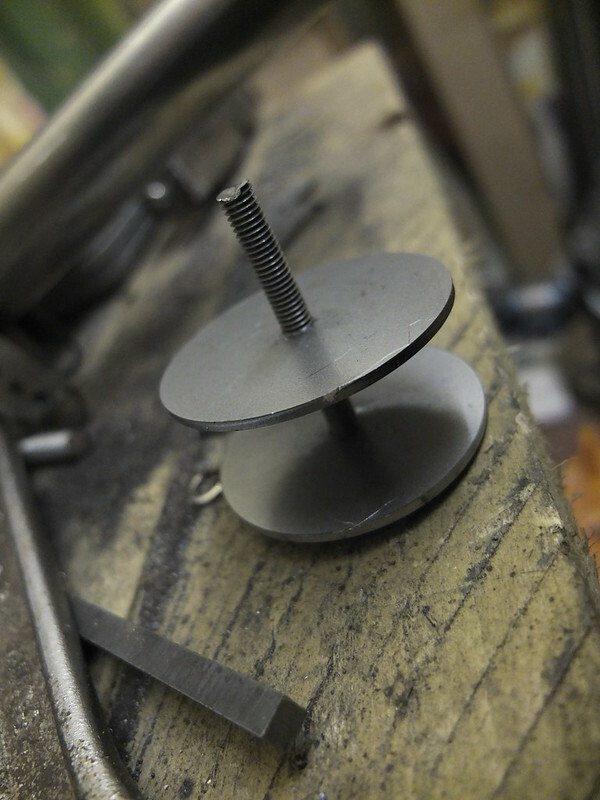 This is quite simple, I tapped two disks and threaded them onto a bolt to create a stable unit. This can be pushed down to the bottom of the barrel. 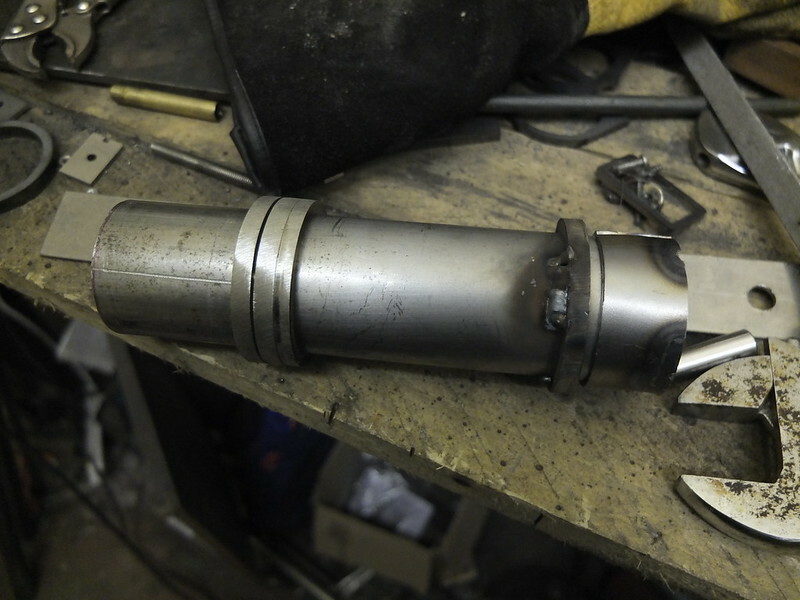 The shells are steel tubes with custom-made caps. This is the prototype, there is a second hole in the production versions to allow quick refiling of the TAGs. The bottom plate is held on by spring pressure. There are two rows of spacers. 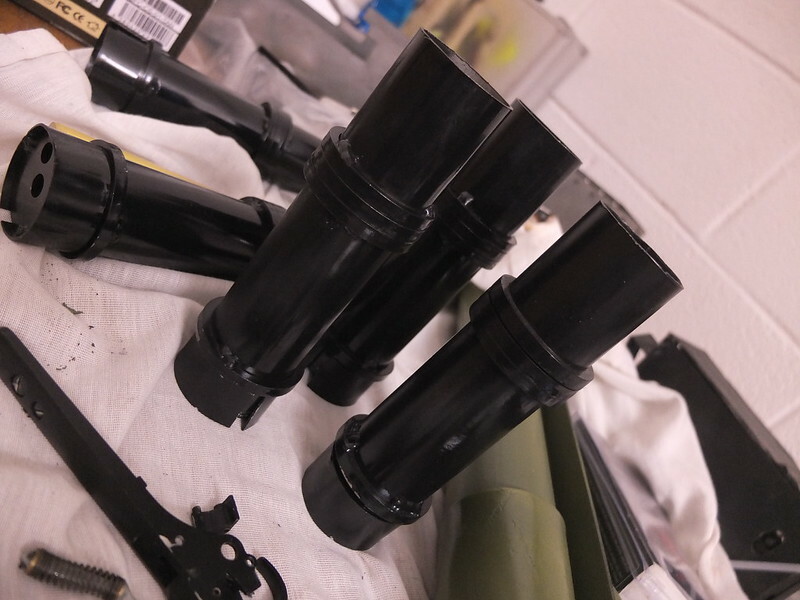 The bottom one keeps the shell centred in the barrel, the top, thicker row allows the user to line up the shell before dropping it into the barrel for firing. I’ll be taking lessons learned from this design to apply to my other mortars and heavy weapons. I’ll also be offering these quickfill shells as an alternative to the standard 2″ mortar shells I’m providing with the SMBL mortar. If you want a mortar of your own, please do get in touch at: enquiries.vintageairsoft@gmail.com or join us on our Facebook page. Don’t forget you can buy our complete products via Etsy.